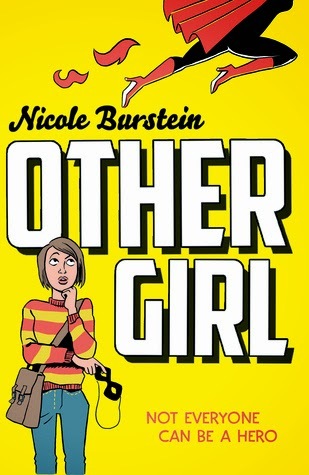 I had such high hopes for Othergirl by Nicole Burstein. I was under the impression it was a story about superheroes and friendship. But unfortunately, I wasn't really feeling the friendship between the main character, Louise, and her secret superhero best friend, Erica. For me, their friendship felt very one-sided with Louise putting in more of the effort and Erica basking in what Louise did for her and being generally ungrateful for it. Quite often within the narrative, Louise will bring up some aspect of their friendship that feels unfair or one-sided but very rarely calls Erica on it. In fact, I felt that way about all the major story lines brought up in this book. I liked the super heroes (and one in particular Amazing Clara was mentioned a fair deal) but I didn't feel as though I came away from the story knowing much more than surface information about them. The problems in the friendship between Louise and Erica are brought up but not really dealt with. Neither is the mini-romantic element between Louise and another character. Mostly I just wanted more from this book. 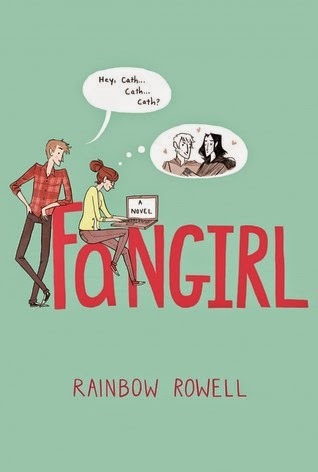 So many people raved about Fangirl by Rainbow Rowell when it first came out that I did two things immediately. The first is that I bought the book and the second is that I avoided reading the book until I felt like the hype had died down a little. There's nothing worse, I feel, than reading a book when the pressure is high to LOVE a book. And now that I have read it, I think I'll always been wondering if my feelings towards the book have been affected in some way by all of the hype surrounding it? I don't know. What I do know is that I enjoyed Fangirl. I did, quite a bit. I didn't love it. I still prefer Eleanor and Park. But I liked a lot of the concepts to this story. I enjoyed the fact that the main character writes fan fiction and we see her experiences of adjusting to university life and having a roommate and her uni courses more clearly than most 'new adult' books. I liked seeing her explore new relationships and friendships. I didn't particularly feel emotionally invested in her relationships with her sister or with Levi but the other aspects of Cath's story kept me interested. Especially her writing journey. And while I didn't fall for Levi in the same way I fell for Park, I loved that the main romantic scene in the book is the two characters falling for each other whilst reading aloud from The Outsiders by SE Hinton! I'm really glad that I finally read this book, even if it didn't wow me in the same way it has for other readers. 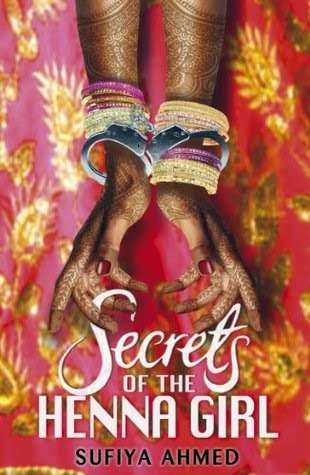 Secrets of the Henna Girl by Sufiya Ahmed is a very different book to what I'd normally read. It is very much an 'issues book' as the main thrust of the story involves forced marriage. While I found some parts of the book felt like a learning exercise and therefore didn't feel like natural to the story, other parts were very emotional. This book tells the story of 16 year old Zeba and how her and family went on holiday back to Pakistan and while there, her parents force her into remaining there for the purpose of marrying a wealthy cousin. It's a pretty heart-breaking turn of events. Whilst in Pakistan, Zeba does have allies though. She stays with her grandmother, Nannyma, and becomes friends with another British girl, Sehar, who has also been forced into marriage amongst the family. I think one of the most interesting aspects aside from the forced marriage, is how much Zeba learns about gender roles and about power throughout her struggles in Pakistan. Overall, an interesting and thought-provoking read, one that I'm very happy to have read! Have you read any books lately with GIRL in the title?